Player 1 faces the baseline and slides from the edge of the key to the sideline. They then back pedal to the 1/2 way line, stop, and then sprint to the basket to receive a pass off the coach and shot a lay-up. 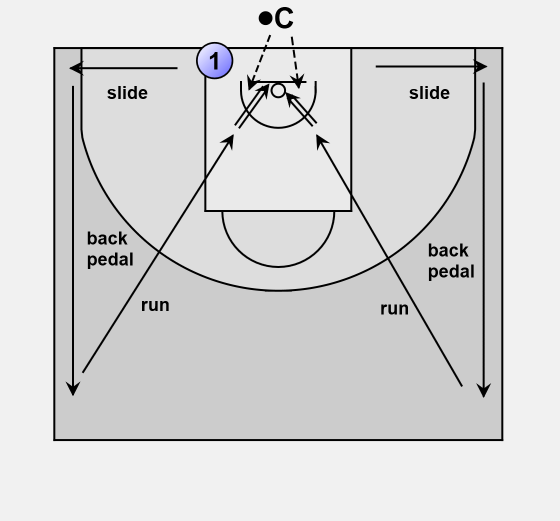 Repeat drill on the other side of the court. Play should continue until they have made a set number of lay-ups (e.g. 6-10).